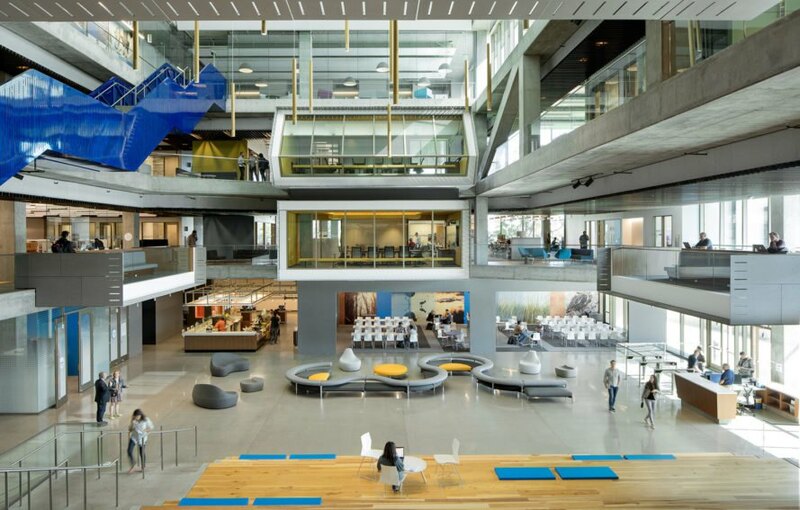 Intuit’s new Marine Way Building (MWB) in Mountain View, California, aims to become an antidote to the trend of building insular campuses across Silicon Valley. 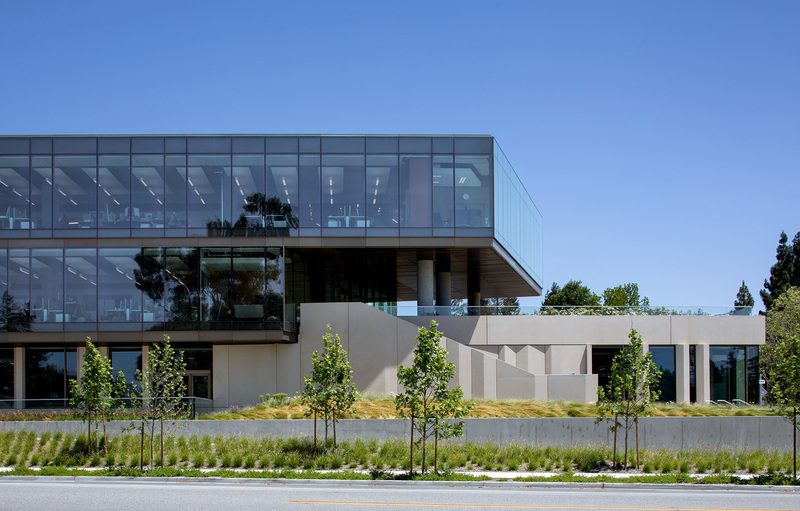 To achieve this goal, WRNS Studio and Clive Wilkinson Architects joined forces and designed a human-centered, urban-minded workplace that connects to both nature and the public realm. 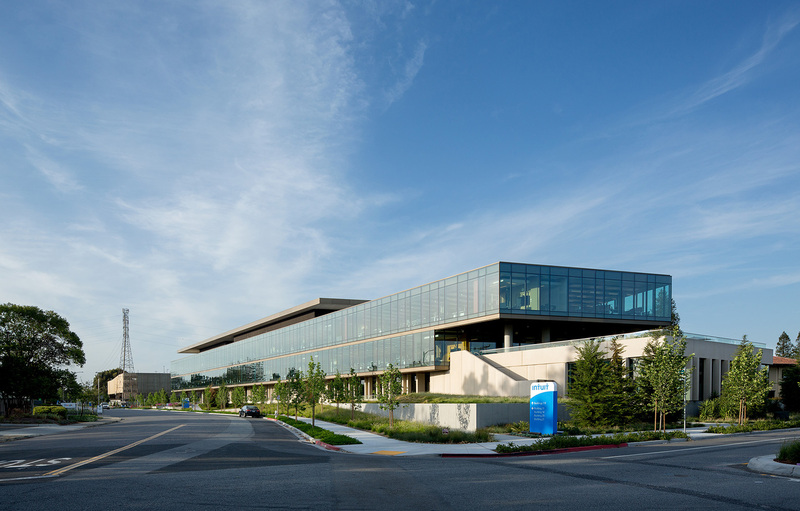 The development added two new office buildings and parking structures to the existing Intuit campus, which was a suburban office park in the 1980s. It now offers 185,400 square feet of office spaces distributed across four floors. The large floor plates are joined by clear circulation and provide plenty of room for socializing or reflecting. The campus also features a café, lounge spaces and showers. Offering expansive views of the bay and an indoor/outdoor workplace experience, large terraces also help knit the campus together. The project targets LEED Platinum, thanks to its design strategies that enhance resource efficiency, expand the natural habitat, ensure good indoor environmental quality, reduce water consumption and waste, and enable the expanded use of transit options. This is aided by the building’s green roofs, themselves part of a comprehensive landscape plan that includes naturalized wetland bio-filtration areas and natural planted areas to help sustain local salt marsh and grassland biome species. 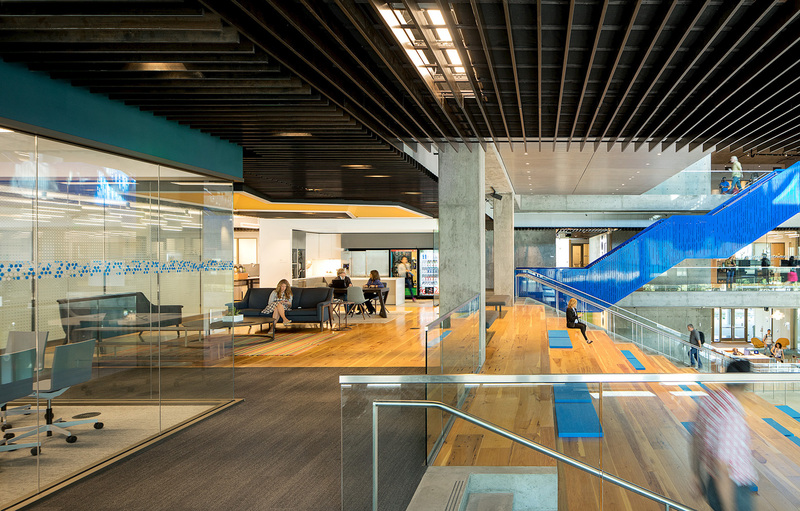 Intuit’s new Marine Way Building (MWB) in Mountain View, California, aims to become an antidote to the trend of building insular campuses across Silicon Valley. 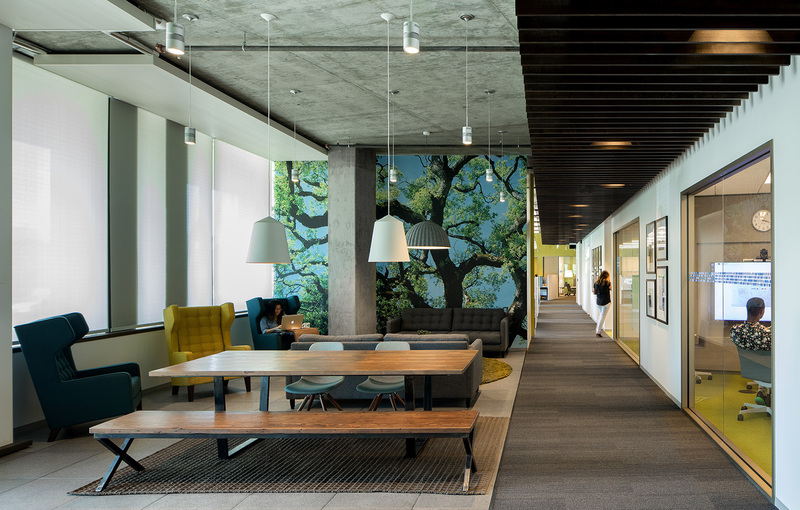 To achieve this goal, WRNS Studio and Clive Wilkinson Architects joined forces and designed a human-centered, urban-minded workplace that connects to both nature and the public realm. 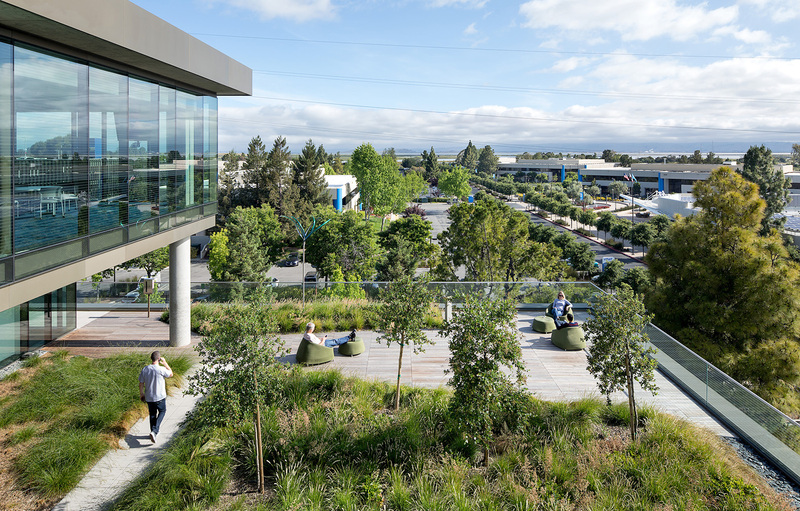 The development comprises two new office buildings and two new parking structures as major additions to Intuit’s existing campus, originally developed in the 1980s as a suburban office park. 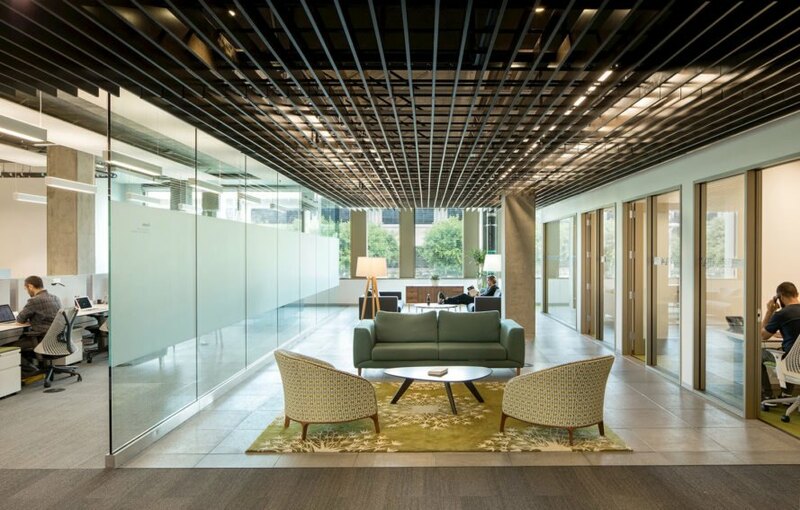 The building offers 185,400 square feet of office spaces distributed across four floors. 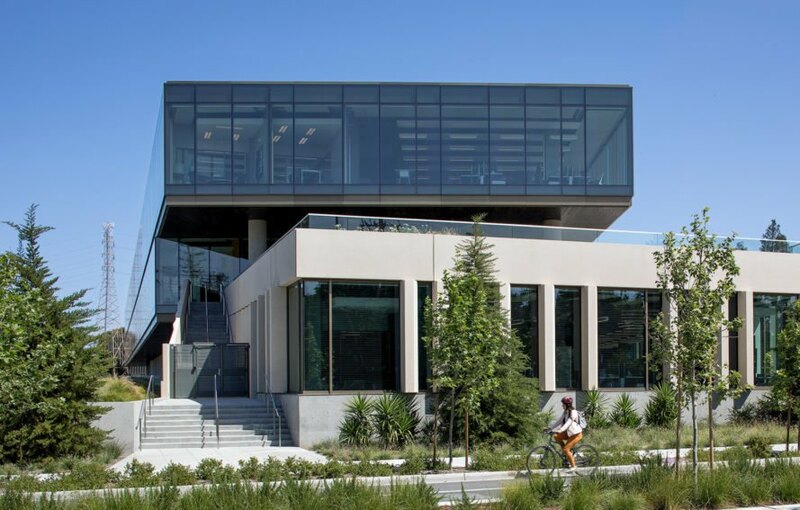 The building also features a café, living rooms, bike facilities, showers, and terraces that spin off of the main atrium, which opens onto the campus’s main internal street. Offering expansive views of the bay and an indoor/outdoor workplace experience, large terraces also help knit the campus together. The project targets LEED Platinum, thanks to its design strategies that enhance resource efficiency, expand the natural habitat, ensure good indoor environmental quality, reduce water consumption and waste, and enable the expanded use of transit options. 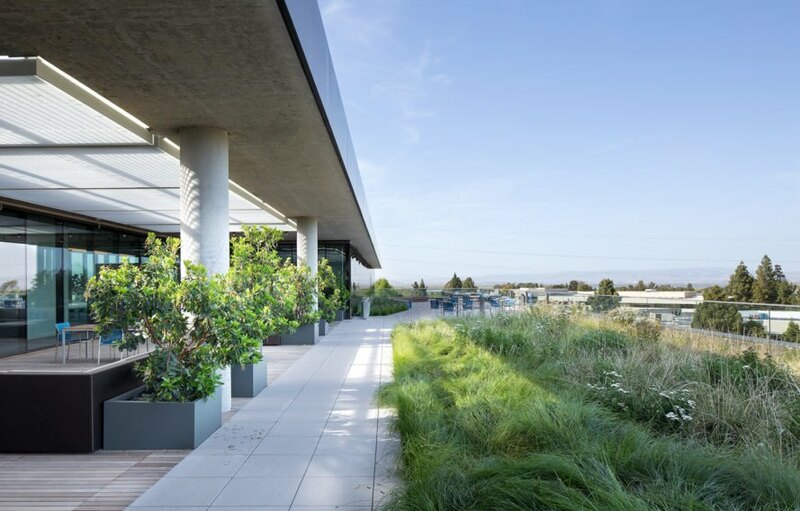 This is aided by the building's green roofs, themselves part of a comprehensive landscape plan that includes naturalized wetland bio-filtration areas and natural planted areas to help sustain local salt marsh and grassland biome species.